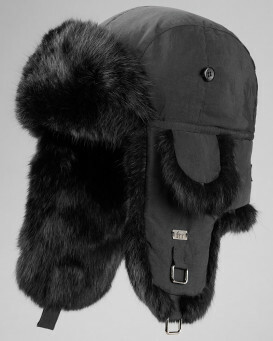 Black Fox Fur Roller Hat with Leather Top. 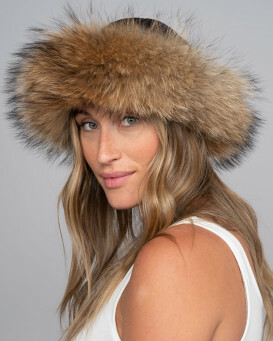 Genuine fox fur hat with leather top. 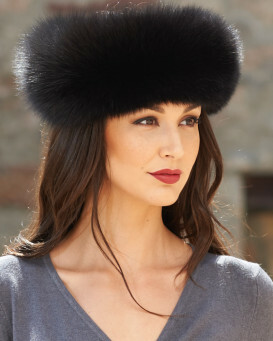 This ladies black fox fur roller hat features a wide band of ranch raised fox fur with genuine leather on the crown. Exceptional quality. "She wears the hat when we go out. The hat has great workmanship. Shopping on your web site is easy. I have purchased multiple hats and scarfs. She loves them all. Thank you for great products." 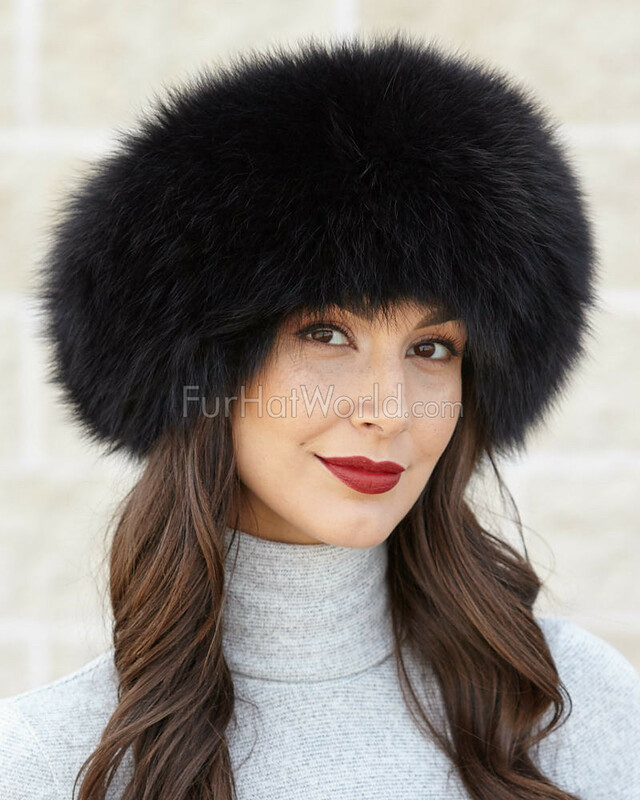 "The fur hat I ordered was beautiful and great quality but a little too tight for my head." "Very nice she loved it." 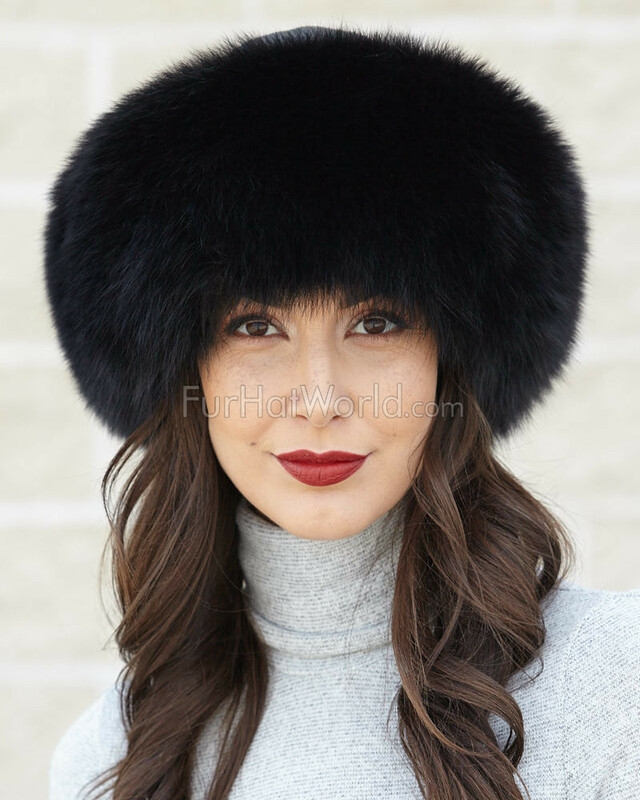 "I love the quality and style of this hat. It is a real classic which I will wear for years to come. 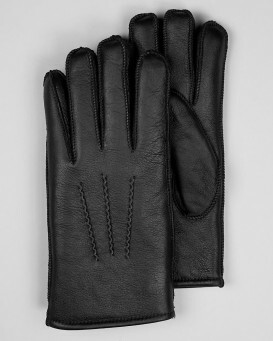 Excellent value for a beautifully made item." "Great hat. Saw it in a store for $200 more. Good price. Looks great on." "Fine quality product. Swift delivery. Excellent craftsmanship." "In one word -Amazing. The product and the process to get. Quality and look of the hat is simply perfect. The representation on the webpage was 100% accurate to what I received. I was astonished when the hat arrived at my front door 21HOURS after I ordered. What a great surprise"
"So perfect hat! An ideal size for my head, very nice quality. Quite quick shipping to France, it took only 10 days. Thank you very much!"